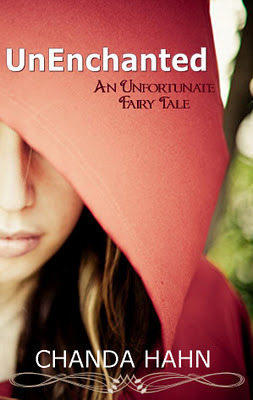 UNENCHANTED ~ Not all fairy tales have happily ever afters. Some just have afters. Book Blurb: Mina Grime is unlucky, unpopular and uncoordinated– that is until she saves her crush’s life on a field trip, changing her High School status from loser to hero overnight. But with her new found fame brings misfortune in the form of an old family curse come to light. For Mina is a descendant from the Brothers Grimm and has inherited all of their unfinished fairy tale business which includes trying to outwit a powerful Story from making her its’ next fairy-tale victim. To break the fairy tale curse on her family and make these deadly occurrences stop, Mina must finish the tales until the very Grimm end. Here’s what I thought: From the blurb, one can tell this is YA Fantasy and I must say that I found it rather refreshing. Kickass teenager heroines have grown into stale, cardboard cut-out characters for me. Now I’m a long way from being a teenager, myself, but I love a good story no matter the target audience. UNENCHANTED enchanted me. First, with nerdy, accident-waiting-to-happen Mina Grime. Second, for its effortless writing that pulled me into the story with as much charm and fascination as the Brothers Grimm tales I love so dearly. I like Mina because she is the poster child for every teenager that has felt awkward, alone, and different. She puzzles through one bizarre event after another like a champion but never becomes self-important, even after learning her true heritage. She puts other before herself and vows to break the family curse, not for herself, but for her autistic brother who certainly would not survive should the curse fall to him. Mina is no Katniss. She has no special skill and isn’t exceptionally smart. She’s sort of non-descript, a fade into the background kinda gal. It takes a lot of gumption for her to step up, and when she does, Mina puts her whole heart into it. There is a teenaged romance to the story. What’s a fairy tale without one, right? And the family curse is going to make Mina live through each and every fairy tale until she completes them all and defeats THE STORY, the living enchantment that the fay have created to entertain themselves. Or dies. Just like the fairy tales, dark forces are working against Mina because the powerful fae don’t want Mina to succeed. If she does, they won’t have any more stories. The two tales Mina tackles in UNENCHANTED are Hansel and Gretel, and Little Red Riding Hood. How the author handles these classics and weaves them into this modern story is amazing and a delight to read. The only thing I didn’t like about the story was the ending. UNENCHANTED is the first in a series, so the story ends not exactly on a cliffhanger, but close enough that I came away feeling a little miffed. I’m not a fan of reader manipulation. I don’t think this was actually the author’s intent, perhaps she meant it more as a hook to encourage readers to buy the second book. If so, she didn’t need that particular ploy. This release is the fourth edition and I found this edited version entertaining enough to hook me into continuing the series. Author Scoop: Chanda is a bestselling and award-winning author of the UnEnchanted: An Unfortunate Fairy Tale series and the Iron Butterfly series. She’s been a bestseller in five countries and named one of Amazon’s top 100 customer favorite author. She uses her experience as a children’s pastor, children’s librarian and bookseller to write compelling and popular fiction for teens. She was born in Seattle, WA, grew up in Nebraska and currently resides in Portland, Oregon with her husband and their twin children. Visit Chanda at ChandaHahn.com. This book was a Kindle free read from Amazon, obtained by the reviewer. No other compensation was offered or received. I believe there are three books in the series, so far. I hope your nieces enjoy them. This looks great. Thanks for the heads up. Grabbing my copy now! Great! Let me know what you think once you’ve read it. Thank you for sharing. I had looked at this and passed on it because I just wasn’t sure. This helped me. It is no in my tbr list. It is NOW in my tbr list. Fingers doing their own thing again! Hi Pansy! I hope you enjoy the read. Let me know your thoughts when you finish. It kept me engaged–a difficult feat for someone with A.D.-hey is that a squirrel?